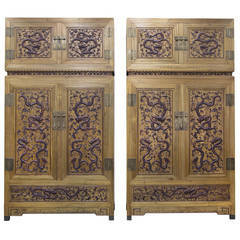 Chinese 19th century pair of zitan wood cabinets and hatchets made with elaborately hand-carved high-relief scenes. Each cabinet has a hatchet on top with square panel doors. The Fine carved scenes depict landscapes inhabited by people and animals amid vegetation. 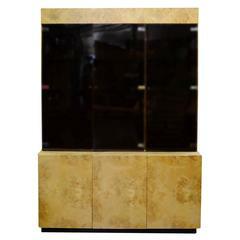 Each cabinet is fitted with metal hardware and comes with locks and keys. 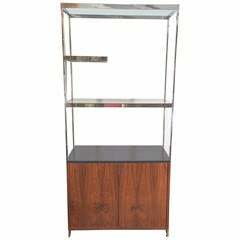 The precious zitan hardwood is in great shape, with one of the cabinets showing repairs to the middle sections of the back panels. 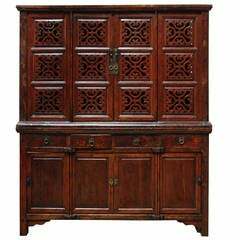 The use of zitan wood was a rare commodity in China traditionally restricted to the imperial workshops. 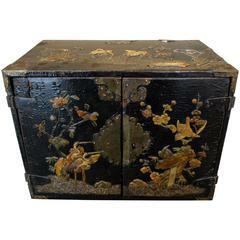 Antique Chinese cabinet with gilt decoration, hand carved. 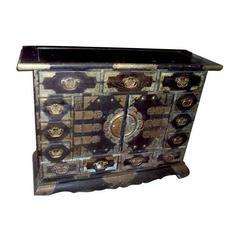 Large Antique Chinese cabinet, with hand-painted black lacquer gold gilt motif and carving at the base, from Shan Xi province, circa 1900, Measures: 118 x 52 x 189cm high. 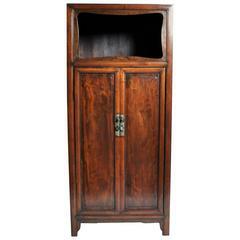 Chinese kitchen cabinet with 18th century original lacquer finish. 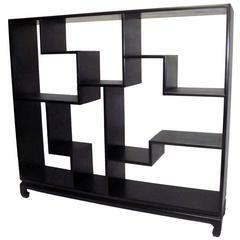 A large freestanding shelving unit or bookcase made of Zitan wood. 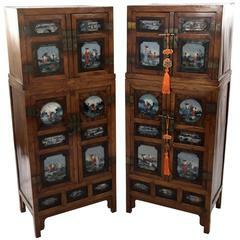 All handcrafted with dovetailed joinery, China, first quarter of the 20th century.